heyo! 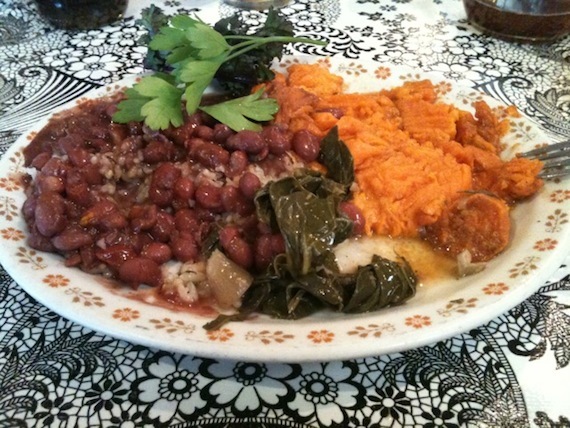 today we’re bringing you a field report on soul food in northern cali. who doesn’t LOVE soul food? nobody! 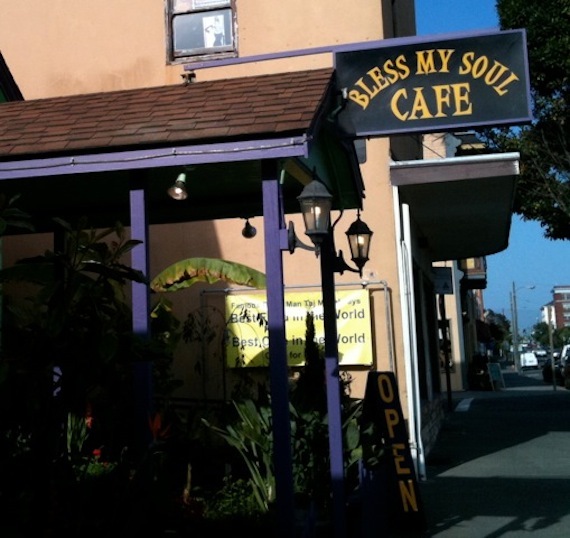 now sit back and enjoy this post about bless my soul in eureka…courtesy of field reporter, “righteous fist”! 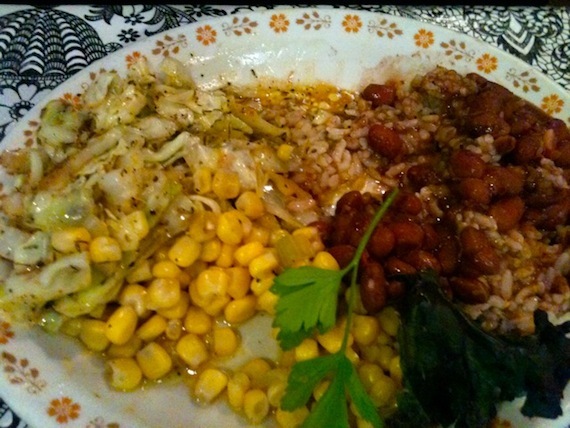 Stopping off in Eureka on my way up the coast my Happy Cow app (which I’m grateful for) lead me to Bless My Soul Café, a small soul food spot on 5th street that serves both meat and veg options. The food was delicious and comforting. Felt like we were having a home cooked meal in someone’s house, which judging by the look and layout of the dining room, is exactly Sweet Mama Janise’s plan. This is rad. I’m actually gonna be in Eureka next week! Wow! That’s pretty cool. I saw the word “Soul” and I started craving Collards! I Love Eureka! I think I’ve even been to that place and their food was AWESOME! Wow, a I never expected to see a review from Eureka in quarrygirl. I grew up in Eureka and then moved to the LA area to go to college so I know pretty much every block from walking and biking around. 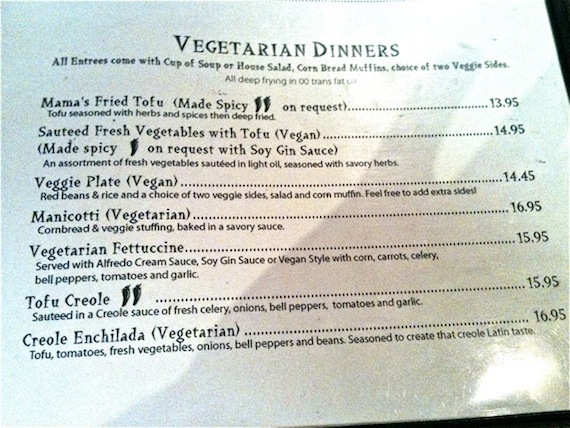 There wasn’t any soul food restaurants at all when I lived there so it’s cool to see that they have some vegan food.